Richard joins LINK with 25+ years business experience, as the executive leader of many finance teams, for both international and national corporations, culminating with an in depth knowledge of financial and business performance, strategic planning, budget target setting, acquisitions and divestments, monitoring and managing budgets, forecasting and management reporting. Specialising in business sales & acquisitions valued from $500k to $10m. 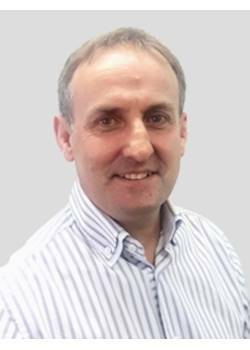 Richard currently advises on a diverse range of seller mandates from franchisor expansion, environmental remediation manufacture and distribution, contract wholesale bakery, medical practices through to unique restaurants and bars. Richard offers an individual outgoing and friendly service to both buyers and sellers, committed to completing the mandate presented and willing to meet anytime, on site, coffee shop nearby, after hours or at our Sydney office to get the mandate done. Richard works with private businesses with up to $50 million in sales to be "Business Ready" for a sale. Similar to preparing a house for market, a business needs to plan its exit strategy in order to achieve the best results. Richard routinely consults to business owners of their best-selling options, provides business value appraisals and guides them every step of the way through the business sale or acquisition process.